From 1898 to 1907, City Hall was located in the old McCormack Building at 1008 State Street (corner of 10th & State; location of United Furniture as of 2008). Although it burned in 1911, part of the building’s exterior was salvaged. Under the guidance of Mayor George T. Wilson (1903-1909), the City began to build City Hall at 10th & College in 1907. Bids went out that July. Several firms submitted bids, but C. H. Smith was selected to complete the job. The original bid came in at $29,000 for the three story building but was reduced to $25,239 after modifications such as not adding a large balcony in the Commission Chambers. The original plans also showed three large interior windows that would have opened views of the Commission Chambers to the hallway. City Hall was designed by Louisville architect Brinton B. Davis (1862-1952). Davis was dubbed “The Hill Builder”, as he designed WKU’s master plan in 1909, Van Meter Hall, and most of the structures at the top of the hill. His association with WKU continued until 1939. Throughout the years, City Hall has seen many changes. The original layout of the City Hall building included the Mayor’s and City Clerk’s offices, which are still in the building today, plus several other offices. Both men’s and women’s jail cells were located in City Hall as well as the City Physician, Library, Chief of Police, Police Court, City Engineer, the City Attorney, and Prosecuting Attorney. The old plans show jail cells where the City Manager’s Office and lower level Human Resources reception desk are located, with a spiral staircase connecting the two. The Health Department was still located in the building into the 1950’s. At one point in the mid-1980’s, prior to purchase and renovation of the City Hall Annex, City Hall held its current functions plus what are now the Finance, Information Technology, and Neighborhood & Community Services departments. The Police Department and Police Court occupied the basement floor of the building and temporary hold-over jail cells were attached at the rear. 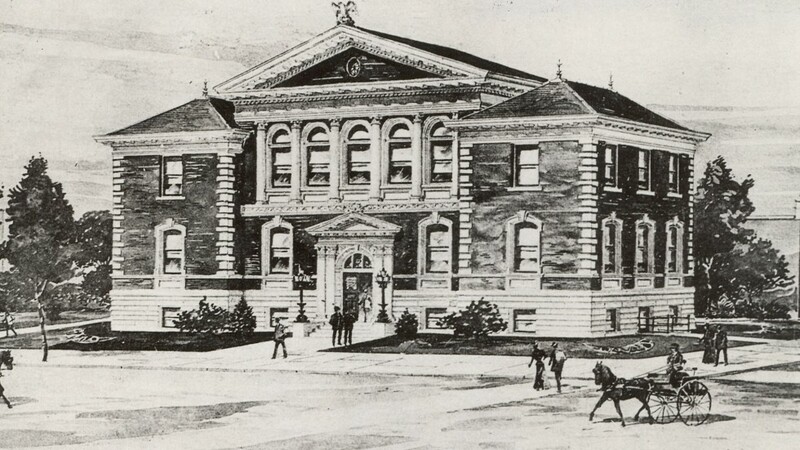 The Police Department or a part of it remained in City Hall for 90 years, from 1908 to 1997, when the new building at 911 Kentucky Street was opened. Police Court remained until January 1978, when the present District Court system began in Kentucky. George Boston was the last Police Court Judge for the City of Bowling Green. There have been several renovations to the building. In 1962 construction opened up additional offices where the jail cells stood. A 1978 renovation included a sound system, more seating in the Commission Chambers, and modifications to the lower level. City Hall was completely renovated in 1986-87, adding an elevator, new restrooms with handicapped access, and restoring some of the unique original design features that had been lost through modernization. During the 1986-87 renovation, Board of Commissioners meetings were held in the old High Street Community Center community room and city offices were located in the Paxton House on 10th Street. The Police Department shifted some of its operations to the Public Safety Training Center on New Porter Pike (now part of the Vindell Webster Fire Station). Later, Police management staff moved into the Paxton House once the City Hall renovation was completed. Prior to the 1987 renovation: the women’s restroom was where the supply closet is located on the main floor; the men’s restroom was where the third floor kitchen is located; on the third floor, where the elevator is now, in the 1970’s there was a janitor’s closet, and later a small lounge. The original plans show it being the women’s restroom. Prior to 1987, there were enclosed offices where the main floor reception desk and the small elevator lobby are located. When walls were removed, arches were recreated to match the existing arches in the lobby. Employees who worked in the building prior to the 1987 renovation described a décor of green shag carpeting and brown paneling. The lower level was completely renovated in late 1998, and in January 1999, Human Resources moved into space that had been vacated by the Police Department two years earlier. The vault there had been used to store evidence and firearms. The area where the reception desk, office equipment and files are located was previous three small offices for detectives. The large office at the end of the hall (left side) was previously divided into three small rooms, for use by polygraph examiners. During the renovation, transoms were discovered over some of the doors, which had been lost over time due to the dropped ceiling to hide utility lines. When the City’s first computer was purchased in the late 1970’s, it was so big that workers had to take out the window of what is now the third floor men’s room to hoist it into the building. 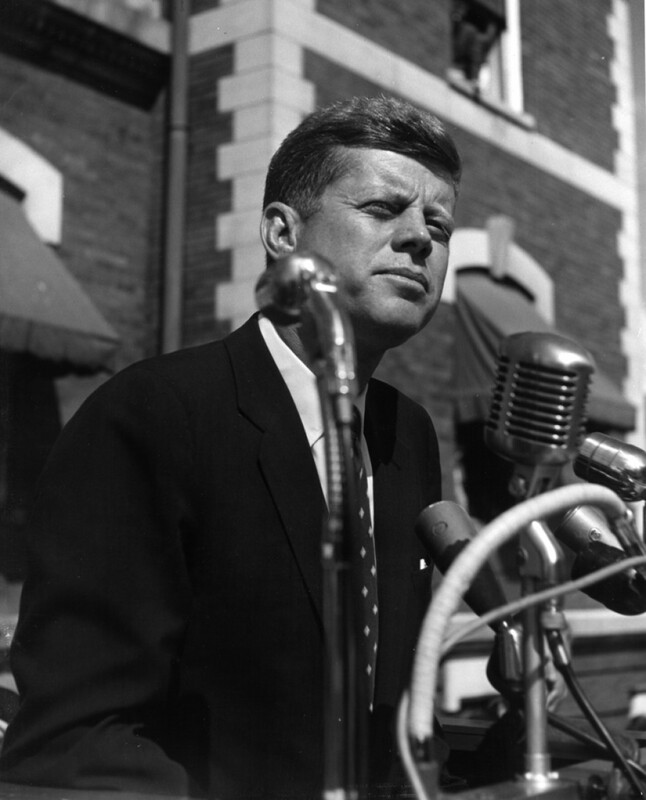 A major highlight in the building’s life was when John F. Kennedy spoke on its steps on October 8, 1960, when he was campaigning for President. John F. Kennedy speaking on the steps of Bowling Green City Hall on October 8, 1960, while campaigning for President. On September 16, 2008, City officials buried a time capsule directly in front of the City Hall sign. The marker indicates that the capsule is to be opened during City Hall’s bicentennial, which will be in 2108. The capsule contains numerous artifacts from 2008, including current and historic documents, publications, photos and magazines about Bowling Green, City budget, sample agenda/minutes from a Board of Commissioners meeting, police officer and firefighter uniforms and patches, directory of city employees, matchbox Corvette, golf balls from the three city golf courses, disc golf Frisbee, mini-skate board, city flag, and 2007 city map.